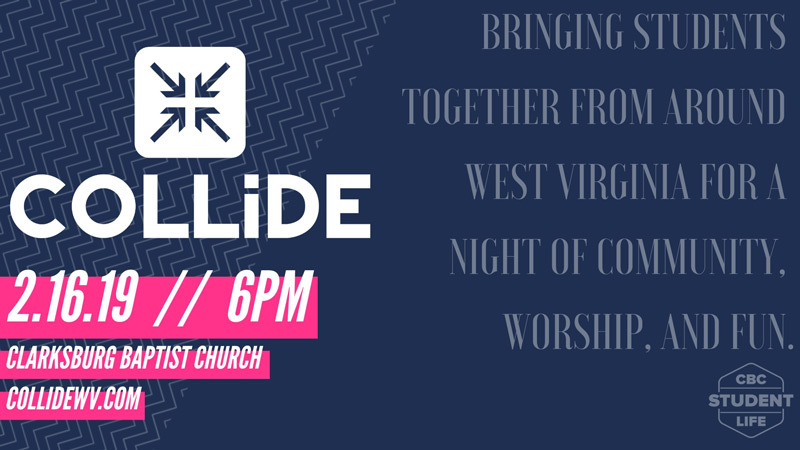 On Saturday, February 16 at 6PM CBC Student Life is hosting Collide, a youth event to bring middle and high school students together from all over West Virginia for a night of community, worship, and fun. The event will take place here at Clarksburg Baptist Church and is open to all middle and high school students. This is a great opportunity to invite friends, family, and neighbors!